Boreal Chickadee: Breeds from northern Alaska east to Labrador and Newfoundland, south to northern edge of U.S. Occasionally wanders southward during winter. Usually found in coniferous forests. The Boreal Chickadee is one of the few birds living completely within the northern boreal forests of Canada and the United States. It prefers dense conifer stands, particularly black spruce and balsam fir. An analysis of their cached items found that the only seeds stored were those of spruce trees. Most of the stashed items were insect larvae. During late summer and early fall, when there is an abundance of caterpillars and seeds, they store food for winter among needles or under the bark of branches at a height that will be above the winter snow cover. 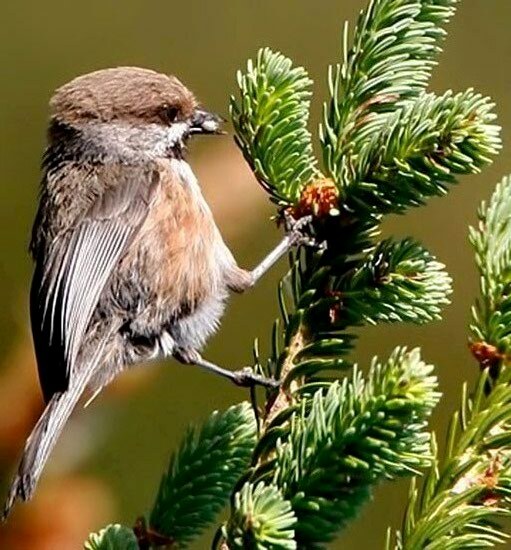 The Boreal Chickadee has a large range, estimated globally at 7,100,000 square kilometers. It is native to Canada, Saint Pierre and Miquelon, and the United States and prefers freshwater ecosystems with a boreal or temperate forest habitat. 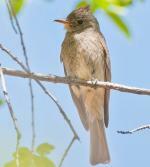 The bird has an estimated global population of 7,800,000 individuals. 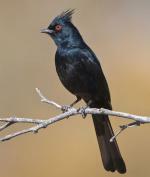 Currently, the population of the bird is not believed to be declining at a rate that would meet the threshold criteria for inclusion on the IUCN Red List. Because of its population status, the evaluation level of the Boreal Chickadee is Least Concern.